Dyslexia: Fact or Fiction? Dyslexia: Fact or Fiction? According to popular belief, dyslexia is a disorder which causes kids to struggle with reading, spelling, writing and studying. Many believe that dyslexia is a neurological disorder in the brain that causes information to be processed and interpreted differently. Some people even believe that dyslexia is genetic. 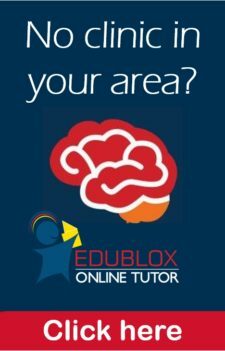 Susan du Plessis, director of Edublox Reading and Learning Clinic, says that if the term ‘dyslexia’ is only used to indicate a reading problem, it’s used correctly, but she doesn’t subscribe to the theory that it’s a neurological disorder. Susan shares this view with many others in both the fields of medicine and education. Many kids are labelled dyslexic from a very early age, long before they’ve even mastered the basic foundations required for reading. Can any child be labeled a ‘poor reader’ if he hasn’t been taught correctly or mastered specific steps on the road to reading? Let’s look at the sport of ice hockey. Before you kit your child out with the protective gear required by the sport and expect him to make the team, he first needs to learn how to ice skate, both forward and backward. He must also learn to turn and stop. Once he has mastered this step, he can move on to learning to control the puck with the stick, to pass and receive a pass, and to shoot. Only when these skills are well practiced and achieved, and he also knows the rules of the game, can he possibly make the team. This vital first step begins at birth. Before any child can learn to read, he or she must have a good grasp of language. It’s the step that fits in at the same level as the ‘learning to skate’ section in our analogy on playing ice hockey. Before any child can learn to read, he must have a good command of language. The next step on the road to reading starts when your child is two or three years old. Cognitive skills are mental skills that are used to acquire knowledge. Learning difficulties, like dyslexia, are often linked to weak cognitive skills. Concentration, perception, memory and logical thinking are four important cognitive skills needed for reading. Children need to be taught to focus their attention and keep it focused for a period of time. Concentration is both an ‘act of will’ and a skill. Skills need to be taught and like other skills, concentration can be improved with regular practice. Perception is the ability to identify, recognise and interpret something, usually through the senses of sight or hearing. Two important perceptual skills for reading are directionality and form discrimination. Directionality relates to the direction of objects ‘in relation to self’ while form discrimination is the ability to perceive differences in the shape of objects. In reading, both these skills are essential — from learning the letters of the alphabet to syllables and then recognising whole words. There are many different kinds of memory and each is an important foundational skill for reading and spelling. Visual memory is particularly important, because a child must remember the visual appearance of words and letter sequence in order to read them. Logical thinking is the ability to think sequentially or in steps in a way that makes sense or logically follows the previous step. This is an important skill for reading comprehension, because by using logical thinking skills a child can see relations and make inferences. 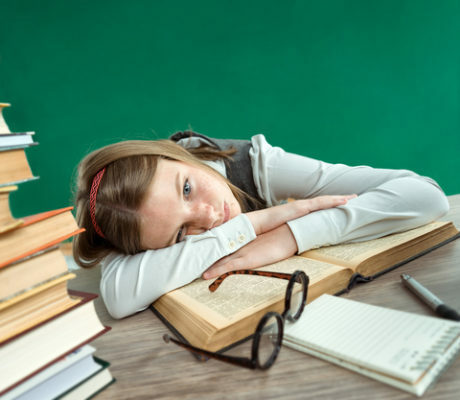 Susan says that weak cognitive skills can be strengthened and normal cognitive skills can be enhanced to increase ease and performance in learning. “Specific brain-training exercises can strengthen these weaknesses leading to increased performance in reading, spelling and learning,” she states. Just like the ice hockey player who is proud of his achievement when he finally makes the team, so your child, with some extra help in the right areas, can be a great reader — and proud of it too. 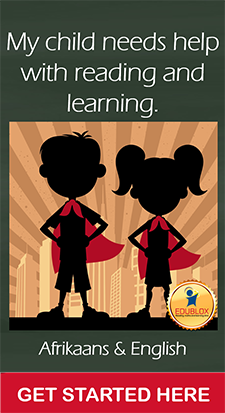 Edublox programs offer a lifeline to parents whose children have been diagnosed dyslexic. Irrespective of age, the skills that form the basis or foundation of reading and spelling can be taught and improved with the right training.